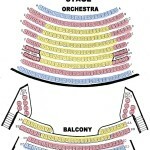 The Season Tickets are at a discounted rate and guarantees you the same seat for all 3 concerts. Our third season will highlight Puccini, Beethoven, and Bernstein, three giants who shaped the world of music with their genius and continue to inspire us with their lasting legacies. Saturday, Dec. 9th, 2017, 7:30 p.m. 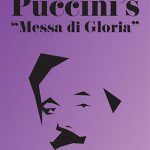 Though Puccini’s name is synonymous with dramatic opera, his liturgical music with the “Messa di Gloria” has also firmly established his presence in the choral repertoire. It was composed as the culminating work for his graduation from the Pacini School of Music in 1880. This dramatic Mass is set for orchestra and four-part chorus with three male soloists. 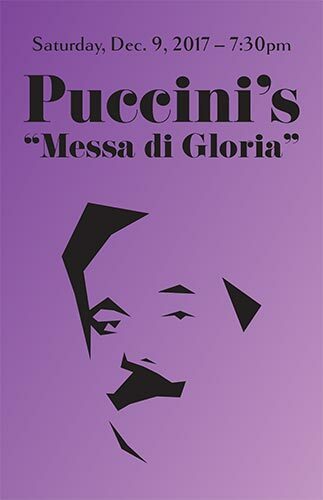 The tenor, bass, and baritone “arias” reflect Puccini’s operatic grandeur. Our traditional Carol Sing-Along, complete with orchestral accompaniment, will bring the evening to a glorious end! 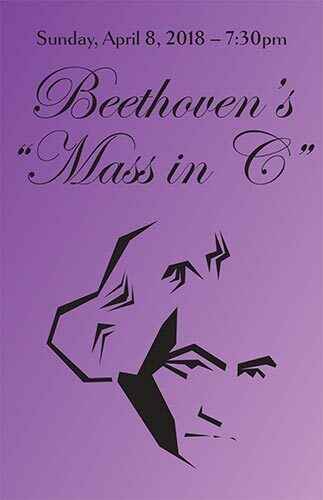 In his own words, Beethoven’s envisioned the nature of this major work as having “gentleness” as its basis and “cheerfulness in the whole.” He carried forth the tradition of Joseph Haydn’s Masses with this commisioned work by the Esterhazy Family. 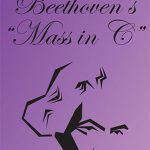 This Mass is scored for four soloists, chorus, and orchestra. Join us as we salute this giant of the world of classical usic with this magnificent masterpiece! Sunday, June 17, 2018, 7:30 p.m. 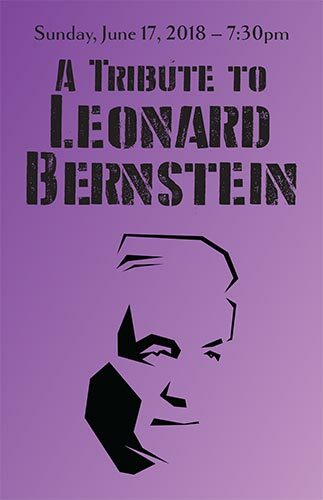 In celebration of Bernstein’s Centennial, JMNS will be showcasing the many styles of his choral and vocal repertoire. 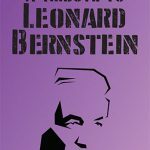 Hailed as one of the most talented and successful American conductors, his wealth of contributions as a composer, educator, and pianist established his presence as a household name around the globe. A potpourri of his signature songs, medleys, and arrangements from this musical theatre, choral works, and opera will culminate with selections from the critically acclaimed “West Side Story”. 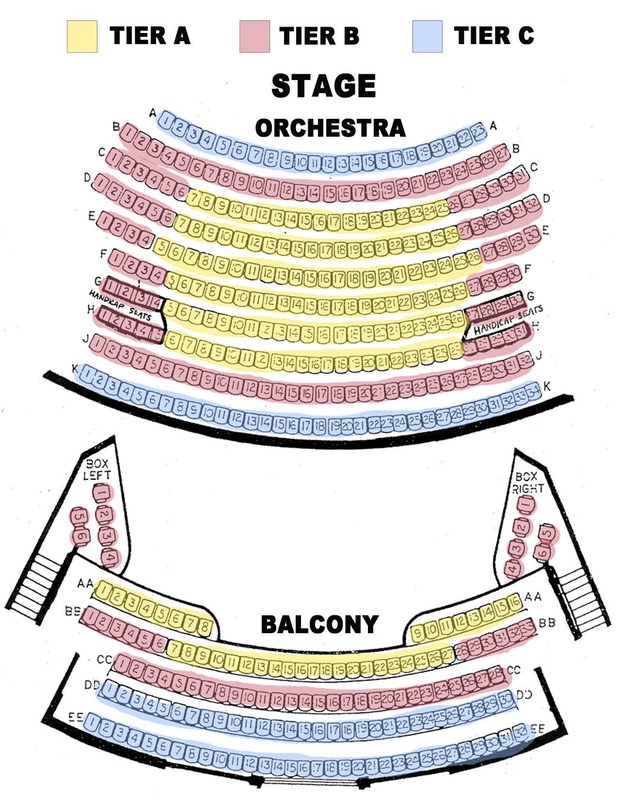 The Season Subscriptions are at a discounted rate and guarantees you the same seat for all 3 concerts.